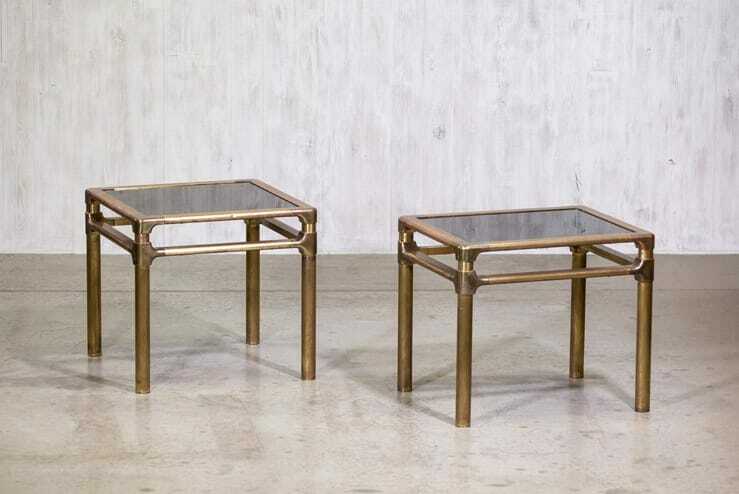 Mastercraft end tables. 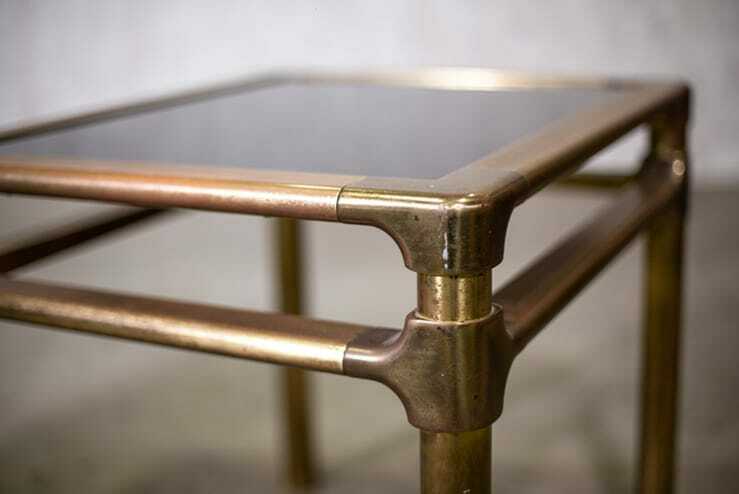 Brass base with glass top. Mastercraft, the Grand Rapids, M.I.-based company, was founded in 1947 by the Doezema brothers. The duo injected a bit of flash and glamour into their furnishings. Exotic wood veneers, Asian and European influences, and bold brass silhouettes were all prevalent themes.